(NaturalNews) The corporate media won't report such cases because their bottom line is more important than being honest with their readers, but vaccine damages do occur, even if the big newspapers don't want to risk their pharmaceutical industry ad purchases to tell you about them. As they started their family, Mooresville residents Theresa and Lucas Black dutifully got their children immunized, never doubting their doctor's word that vaccines are safe and necessary. A neurologist in Charlotte diagnosed Angelica with vaccine-related encephalopathy - a brain injury. And in 2006, she was awarded $2 million plus $250,000 from a little known federal judiciary called the "vaccine court," which was established just for this purpose: Paying out vaccine-related injury claims. And now, Theresa Black, Angelica's mother, is being forced to suffer again, as the recent measles outbreak in California is causing her to feel bullied. If anyone has a right to oppose mandatory vaccinations, it is certainly the parent of a child permanently and irreparably damaged by them. Federal, state and local health officials insist without reserve that vaccines are safe - always. Many have even strongly hinted that any parent who doesn't vaccinate their children ought to be charged with child abuse and even jailed. 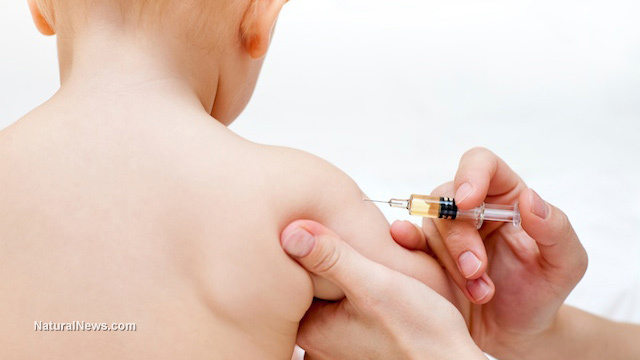 "Anti-vaxxers often claim the right not to put 'poison' in their children's bodies. That is ludicrous," wrote Alex Berezow, founding editor of RealClearScience.com and co-author of "Science Left Behind", in a January 28 column in USA Today. "A mountain of data has demonstrated that vaccines are safe and effective. Insisting otherwise is akin to believing that the moon landing was faked," he continued. "It is time to end this insanity. Though jail sounds drastic, it could be the only way to send a strong message about the deadly consequences of failing to vaccinate children." "There's people out there calling for us to get jailed," Black said. "I am not a freak. I am not trying to endanger anyone's child. ... I actually think vaccinating is a good thing. My problem is I don't think they are as safe as they could be. ... There are bad things that happen." But, as Angelica reminds her daily, there is nothing inherently safe about vaccines. Today, at 14 years old, Angelica is severely disabled, and she always will be. She is stricken with cerebral palsy and has a seizure disorder. She cannot speak and she must be fed through a tube. She is confined to a wheelchair. And because she is a 24-hour care case, her parents had to quit work to be at home for her 'round the clock. "People are saying there's absolutely no evidence that vaccines cause brain injury, and we're sitting here with all these cases. It's rare ... but they clearly have happened," Gentry told the Observer. Not that rare. In the mid-1980s, the Reagan administration established the National Vaccine Injury Compensation Program. Set up within the Department of Health and Human Services, the program "was established to ensure an adequate supply of vaccines, stabilize vaccine costs, and establish and maintain an accessible and efficient forum for individuals found to be injured by certain vaccines." You can read about Angelica's case here. Bravo to The Charlotte Observer for covering the story.